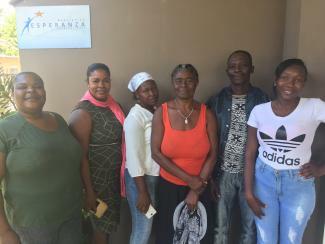 Wakibi - Microkrediet aan Union De Mujeres 6 Group, Dominicaanse rep.
Leners in deze groep: Elania, Violeta, Marie, Eduith, Nelio, Yuly. This loan helps to buy goods to sell such as seasoning, oil, rice, beans, bread, soft drinks, milk, malts, and fruit among other things. Elania is an entrepreurial woman who lives in the province of San Pedro de Macorís in the Dominican Republic. The economy of the province is very diversified with tourism, industries (free zone), cattle farming, agriculture (citrus and mostly cane sugar) and informal commerce. This province has the most sugar mills. Elania has a convenience store since 4 years ago, where she sells seasoning, oil, rice, beans, bread, soft drinks, milk, malts, and fruit among other things. Before the convenience store, she sold 'fritura' (typical Dominican fried food) that did not give her much income so she decided to open the store. 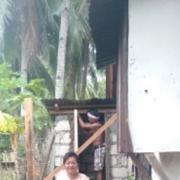 Elania says that it is going better now and her income has increased and she can help her family financially. Elania is the mother of three children and was only able to study until the first year of middle school. 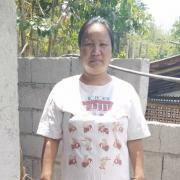 She hopes to see her children become professionals and have a better quality of life and for her business to grow and to be able to extend her house. 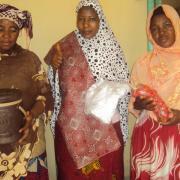 Elania needs your help to buy merchandise to stock her store and to continue generating greater income.